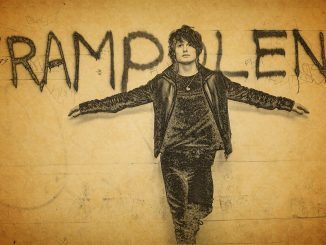 Swansea’s heirs to Dylan Thomas and the Manic Street Preachers, TRAMPOLENE release a new single ‘The One Who Loves You’ through Mi7 Records on Friday 12th October. To accompany the release TRAMPOLENE support The Sherlocks in October, before going out on a headline tour in November and December. ‘The One Who Loves You,’ was produced and mixed by Josh Green at Konk Studios and includes ‘There’s No More Rockstars’ on the flip side, is the followup to ‘Hard Time For Dreamers’, which was playlisted at Radio One and Radio X.
TRAMPOLENE‘s latest album ‘Pick A Pocket or Two’ went into the indie chart at no 10 last month. ‘Pick A Pocket or Two’ features a compilation of songs and poems not included on the band’s debut album ‘Swansea To Hornsey’ (October 2017). ‘Swansea To Hornsey’ was described as a “Brilliant debut from indie gutter poets” **** by Q Magazine and featured in The Independent’s ‘Top Ten Albums of 2018’. 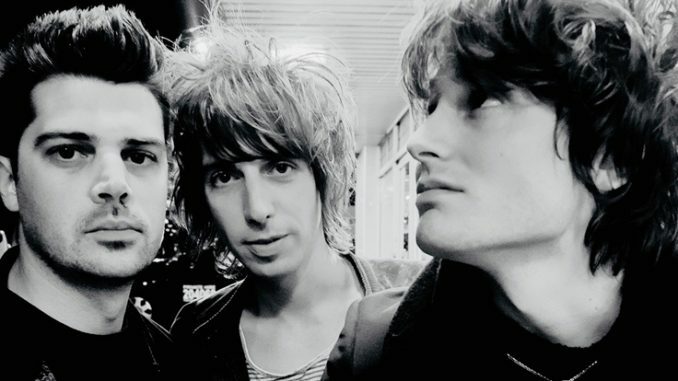 TRAMPOLENE have toured continuously over the last 3 years, with stand out supports for Liam Gallagher, The Libertines, Kasabian, Buzzcocks, Peter Doherty, Reverend & The Makers, The Enemy, Pretty Vicious, Catfish & The Bottlemen and Carl Barat & The Jackals. This year the band played their biggest headline tour to date including a sold out night at The Scala in London and appeared at BBC Biggest Weekend, Truck Festival, The Great Escape, Y Not, Victorious, Cotton Clouds and Kendall Calling festivals. TRAMPOLENE support The Sherlocks on six-shows in October and headline This Feeling/Metropolis Music ‘Alive Tour 2018,’ with support from The Surrenders and Lacuna Bloome in November/December.